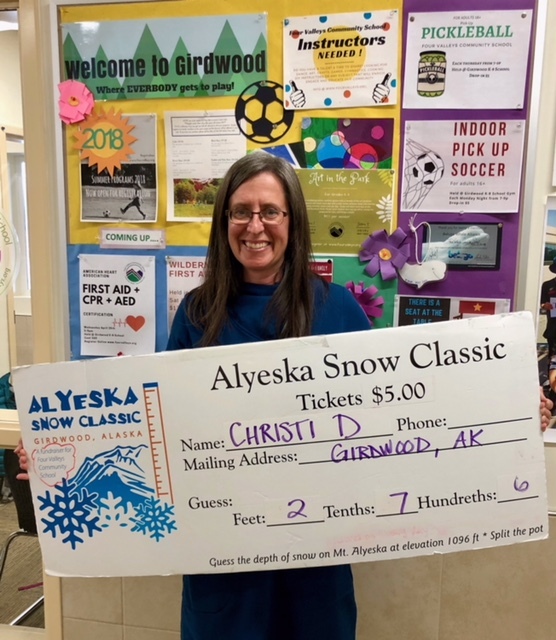 The Alyeska Snow Classic is a fundraiser for Four Valleys Community School. Held each spring, participants purchase a ticket for a chance to guess the measurement of snow on Mt. Alyeska in Girdwood, AK. 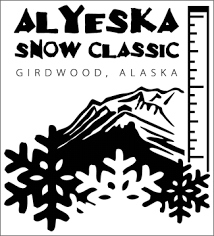 For more information, visit our Alyeska Snow Classic website for more details. Congratulations to the 2018 Alyeska Snow Classic winner Christi Davidson! Her guess of 2.76 feet was the only correct guess. Her split the pot winnings will be $1600. Thank you all who supported us by purchasing tickets! Proceeds are used to fund our scholarship programs, support our active and learning opportunities, and sponsor community events. We love Girdwood, Bird, Indian and Portage and cannot wait to create even more programs for our community!